The further that we develop scientific and medical ideas, the more we seem to keep coming back to the ancient knowledge that has been handed down from generation to generation. The Ancient Greeks, the Ancient Egyptians, the Ancient Romans – even the Ancient Mayans – they all had a huge amount of knowledge about the human body and how it worked. Of course, we would certainly not get rid of some of the modern knowledge that we have gained, nor the modern tools, but there are certain facts that doctors and dentists seem to have forgotten that our ancient ancestors knew as common knowledge. Thankfully this information has been retained by homeopathy, and it is now becoming more and more common for dentists to receive some homeopathy training so that they can pass on these benefits to their patients. 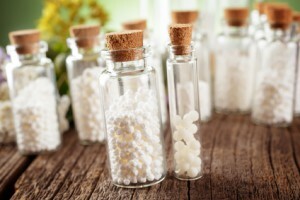 For example, there are many different parts of a dentist’s work that homeopathic treatments can aid in. Chamomilla is perfect for teething babies because it helps them to fall asleep. Often one of the underlying causes a teething baby cries is because they are exhausted – but Chamomilla ensures that they get a good night’s rest. Chamomilla can also be taken by adults who want to lose the feeling of numbness that they experience after a dental operation. Causticum is a brilliant homeopathic remedy that is becoming more and more popular with dentists because it will relieve any soreness or tension in a person’s jaw if they have had to keep it open very wide for a dental appointment or oral surgery. As you can see, medical knowledge seems to have come full circle, and it is now possible to gain so much more from your dentist appointment. Talk to your dentist now about how homeopathy can help you at your next appointment. Dentures are a great replacement for natural teeth, and they are highly effective at restoring function and increasing comfort and confidence. However, new dentures can take a little time to get used to. The initial adjustment. Can last couple of months, and during this time you may have some trouble with your dentures. This is perfectly normal and how long it lasts depends on your health, the condition of your mouth, your age, and your dentures. Expression changes – Your facial muscles, including those in your cheeks and lips, need to adjust to the new dentures. Your expressions may seem a little off at first, but do not be alarmed. Excess saliva production – Digestion begins in your mouth, with chewing and saliva breaking down your food. Anytime anything is placed in the mouth your salivary glands are triggered. It can take several days for your salivary glands to return to normal. Pain – Your gums and the other tissues in your mouth are very sensitive and may be irritated by pressure or friction from your dentures. It is common for sores to develop. In many cases the dentures can be cut back in those areas or adjustments made by your dentist during follow-up visits. This process may take several weeks of visits to get right. Trouble speaking – Your speech and pronunciation are both directly influenced by your teeth. Dentures influence your speech differently than the way your natural teeth influence your speech, and this can cause some difficulties. You can overcome these difficulties with practice. Try reading aloud, and if certain words are difficult, practice them. Trouble chewing – New dentures can cause some discomfort with chewing especially until sore spots heal.To ease discomfort, take smaller bites, eat softer foods, and be gentle with your chewing. In the beginning, try keeping your side to side chewing motions to a minimum, and you mostly in up-and-down motions. Feeling of crowding – When you first put your dentures in your mouth it may feel as though you have everything but the kitchen sink and it may feel strange. This may last for days or sometimes weeks. Loose feelings – As your dentures settle, and until all of the adjustments are made, the normal movements of your mouth may cause your dentures to feel like they are slighting or being dislodged. To help your dentures feel more secure, try closing your mouth and sucking on them gently to help them settle into place. Nausea and gagging – You may find that your new dentures trigger your gag reflex which can cause nausea and some people. 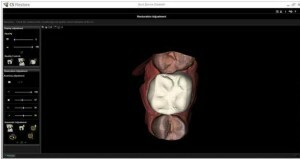 This is due to pressure the denture places on the upper palate. Your dentist can adjust your dentures and relieve the sensation, there nausea typically dissipates within a few days. Small-diameter implants can minimize many of these problems with new dentures. If you live in San Diego and need denture advice, Call (619) 640-5100 for a free consultation with Dr. Daniel Vinograd. Having enough saliva is important for everybody, but especially vital to denture wearers. Saliva helps to seal the base of the denture against the ridge of the gums. Saliva also helps to lubricate the denture and protect the gums from irritation that can cause sores. Dry mouth can lead to poorly fitting dentures which can cause irritation, and sores that can become infected. Medications – there are hundreds of frequently prescribed and over-the-counter medications that can cause dry mouth. Some of the most common medications that cause dry mouth include those for blood pressure, depression, and congestion. Illness – certain systemic illnesses can impair the functioning of the salivary glands. These conditions include dehydration, tumors of the glands, dysfunction of the liver, and Sjogren’s syndrome. Habits – frequent mouth breathing as well as habits that cause dehydration, particularly in sufficient fluid intake and excessive alcohol or caffeine consumption, can lead to dry mouth. Radiation – certain types of radiation treatments can cause reduced saliva production. Aging – the older you get, the less saliva you produce. The best way to deal with dry mouth depends a great deal on the cause. If your dry mouth is caused by prescription medication, talk with your doctor about other medications that may be less likely to cause dry mouth. Never discontinue any prescription medication without talking to your doctor first. If you think an over the counter medication may be causing your dry mouth, try another brand or talk to your doctor. Sucking on sugar-free hard candy – This is an easy way to increase your saliva. Drink more water – Sometimes just making sure you are well hydrated can increase the amount of saliva in your mouth. If you have any of certain conditions, such as congestive heart failure or kidney disease, that make increased fluid consumption and advisable, talk to your doctor. Reduce your consumption of alcohol and caffeine – Alcohol and caffeine are both known to aggravate dehydration. Reducing how much alcohol and caffeine you drink can help. Pharmaceutical mouthwashes – there are mouthwashes and other products that can be purchased at the pharmacy that can help to keep your mouth moist, improve lubrication, and help to stimulate your salivary glands. Medication – when all else fails talk to your doctor about prescribing a medication that can help to increase your saliva production. If you have dentures and find that dry mouth makes them uncomfortable, talk to your dentist about implants. New implants are smaller and cushion your dentures and hold them in place. For denture advice in San Diego, Call (619) 640-5100 for a free consultation with Dr. Daniel Vinograd. People with a lot of cavities and other dental issues often get into a mindset where they just want to get out of pain. Often, the most obvious answer is to get rid of the teeth that are causing so much trouble, and replace them with dentures. Sometimes, however, dentures can cause even greater problems and people struggle more after dentures than they did with their natural, if cavity riddled, teeth. Often, they don’t fully grasp how much of a challenge dentures, especially lower dentures, can be. Thanks to modern dental advances, fewer people are having trouble with their lower dentures than once did, but there are still many people who struggle with pain from dentures that rub and place pressure on the gums, as well as embarrassment from dentures that slip when talking or eating. Why are lower dentures so much more troublesome than upper dentures? With upper dentures, a good impression and well made denture can get a good, effective seal, especially if the denture flanges and post stem are secure. The upper arch of the mouth is essentially unmoveable, so a decent seal is all it takes to keep upper dentures in place. The jaw and lower part of the mouth, on the other hand, does all of the movement to do the work of chewing, talking, etc. In addition to the lower jaw constantly moving, the floor of the mouth tends to move as the tongue moves. As if that weren’t enough, teeth are vital to the structure of the bone in the jaw. 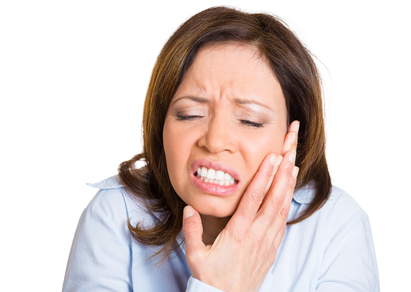 When the teeth are extracted, the bone in the jaw tends to erode over time. 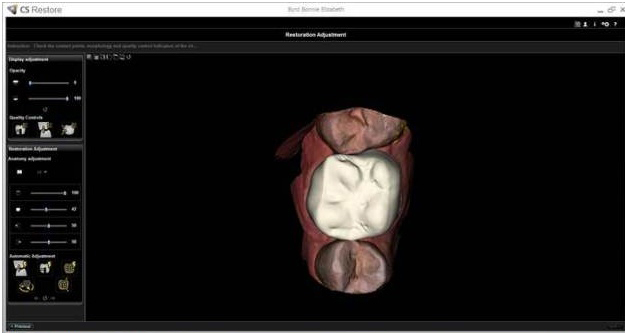 As the bone erodes, the denture no longer fits properly. Ill fitting dentures can cause pressure and friction on the gums, which can lead to painful sores and infection. All of these factors combine to make lower dentures challenging at best. Statistically, about 9 out of every 10 people with lower dentures are unhappy with them. When it comes to upper dentures, however, the opposite is true. 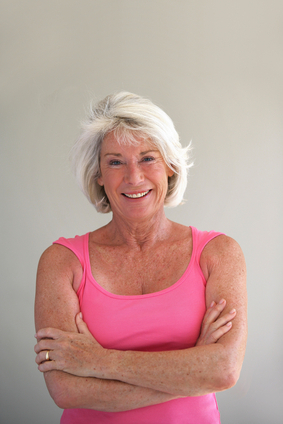 The vast majority of denture wearers are quite happy with upper dentures. Lower dentures may well be the most difficult aspect of dentistry, and the one most likely to cause serious dissatisfaction in the patient. The good news is that advances in dental implant technology make lower dentures fit better and remain securely in place. Implants can dramatically improve the quality of life for many denture wearers, giving them a sense of confidence that some may not have experienced in years. In the past, there have been two major obstacles to using implants with many patients. First is the cost of placement. Many implants are fairly large and require invasive surgery to place. Besides the cost and recovery time, many patients have been poor candidates for implants because they lacked sufficient bone to support the implants. The procedure could run thousands, even tens of thousands, of dollars, putting it out of reach of even those who were good candidates. Newer implants are a lot smaller and the procedure to place them is less invasive than it once was. These miniature sized implants can be placed under local anesthesia with no incision or stitches and the patient’s existing dentures can be refitted, all in one visit and for much less than traditional implants. They also require significantly less bone to support than larger implants. These smaller implants allow dentists to refit existing dentures to snap into place on the implants so they stay firmly in place, regardless of what the wearer is doing. Of course, the best situation is keeping natural teeth healthy and in place, but when teeth deteriorate, the smaller implants can make dentures a more satisfying option and less challenging option. The potential to improve the quality of a patient’s life is gratifying, especially a patient who has suffered for years with ill-fitting dentures because they believed they had no other option. Watching a patient able to enjoy their food, sometimes for the first time in years, is truly heart-warming. If you are one of the many with lower dentures and you are experiencing problems with pain and embarrassment because of poor fit and excessive movement, talk to your dentist about the possibility of securing your denture with implants. Of course, you can always discuss with your dentist whether the quality and quantity of the bone in your jaw is sufficient for a fixed prosthetic, but if either the bone or finances are an obstacle, there are other alternatives rather than continuing to suffer. You don’t even have to understand what these gels me but a housekeeping gene which stays even, no matter what, this one that has been looked at with respect to autism now is highly regulated by methylation, okay. And when we look at what are we talking about when we talk about a voltage gated calcium channel moving back-and-forth across that membrane looks a lot like what I just showed you happens in the membrane of the mitochondria to generate that energy to drive that, to opening close for calcium, okay. Also recall the role of calcium in seizure activity. If we don’t have the calcium handled properly, we run the risk of seizure activity in addition to the role aluminum plays and estrogen we’ll talk about that in the minute. And so glutamate is the gun and calcium is the bullet. If we have the combination between glutamate and calcium we are going to have problems, we are going to have membrane damage and over excitation at some of the receptors. And basically what’s going on when that happens, well we have overstimulation and then we can’t recover. That’s what we’re talking about we talk about excitotoxin damage. Okay, so we’ve talked about the role of estrogen, calcium, how glutamate is involved, how aluminum ties back to whether it’s glutamate, whether it’s reactive oxygen species, held onto with the bacteria, and then the snips that can play a role in increasing this bacterial load. So now let’s take a minute and look at the connection between aluminum and estrogen and seizure activity. And so when aluminum is added to the system, whether it’s an individual who is accidentally exposed to it or some of the animal models we’ll look at in a minute, it increases seizure activity. And again using aluminum cream in experimental models causes temporal lobe epilepsy and seizure activity. And again looking at the threshold that’s needed with aluminum to create epilepsy and seizure activity, okay. So if you look at these are animal models and the amount of the cream and the number and the increasing seizure activity. Okay and so there’s a quantitative threshold for epilepsy in monkeys that’s created simply by adding aluminum. Okay. And we can look at what’s physically going on in the brain, we can look at..aahm… EEGs to see what’s going on, and we can look at the list of symptoms that occur due to aluminum toxicity in the system and seizure and epilepsy that occurs. [01:16:14.12] And I know we’re short on time to get through all this material so I’m not going to read through it but you can look at the slides later and you’ll be amazed at the correlation between a lot of the symptoms that you might be seeing in your own children and the list of what can occur due to do aluminum toxicity. Now estrogens have been played as the good guy as well as the bad guy in seizure activity, and the bottom line with almost anything is moderation. Okay. And so we can look at the effect estrogen has on the system and in low doses it is in fact protective and so we can conclude that estrogen… the effect is complex. You want to look at them individually and we want to see where and when it makes sense to support with even estrogenic herbs and in a minute we’re gonna look at the PMT snip, and I’ll give you some clues as to when we’re seeing calcium disregulation, imbalances in the lipids in the membrane, and where those maybe individuals who might be more prone to seizure activity, and maybe where you want to use something like Don quai and black cohosh to support…aahm.. in a healthy safe manner some of those herbs. Also when testosterone modulates seizure activity it is doing so through an estrogen pathway. And so looking at the anti-seizure effects also of progesterone – so whether you’re using a balance of estrogenic herbs and progesterone cream and trying to keep the system in balance with respect to seizure activity. And you can see that the number of partial and full seizures can be adjusted simply based on the amount of progesterone used in the system. Okay, so to review before we get into some specifics of what bacteria you have. How do you know which ones you have. How do we address them? and how do we get this aluminum out of the body as well as some of the other heavy metals? Certain snips can predispose to chronic bacterial issues. Bacteria can hold onto metals. Aluminum can play a role in seizure activity and inhibit mitochondrial function as well as increased oxidative stress. The opposite side of mitochondrial energy is this oxidative stress, how it affects BH4 levels, how important BH4 levels are, and the Catch-22 between aluminum decreasing BH4 levels and thinking about when we want to address anaerobes with something like hyperbaric oxygen in the scheme of things so that we have this first part under control. And the role estrogen may play in being somewhat protective for calcium regulation as well as glutamate induced seizure activity. Also, coincidentally, SAMe holds onto boron very tightly. So as part of the problem with boron retention in the body that as we age and the methylation cycle intermediates decrease and we are not supporting to bypass those mutations that we’re less able to hold onto the boron that the system needs. If we don’t have enough boron it impacts on the methylation cycle and homocysteine levels. So it looks like there’s a complex relationship between boron, estrogen, SAMe and methylation cycle. And when we have high levels of lead and cadmium we often see drops in strontium and boron and calcium can drop. Some of this is very subtle like the iron on data that I showed you earlier and so what you’re looking for, and this is subtle, but when you’re seeing cadmium and lead, you are looking to see if boron is to the left of 50% okay. And again even low doses of cadmium and lead, the boron levels start to drop, alright. Okay, so you’re looking at that drop in boron, and when you look at the UEEs you want to pay careful attention. It might be tempting to ignore this but if you’re seeing cadmium and lead excretion, and you’re starting to see a drop in boron, pay attention. Think about supplementing. Think of the role of boron and the inter-relationship with SAMe, The relationship to the estrogen and what we just finished talking about, about estrogen being protected…in the system for oxidative damage on as well as seizure activity. Some of the newer snips that were looking at is PEMT enzyme, and how this ties in – PEMT sits at a critical juncture here. It’s very important in the generation of some of the phospholipids in the membrane that we look at on a UEE. It’s sitting at a point in the cycle that’s affected by SAMe. Boron homocysteine levels being affected by boron, so it’s right in the middle of this interacting sphere that we just finished talking about. Women with a particular PEMT variant have increased risk of organ dysfunction, especially if you’re not supporting that methylation cycle. It’s important in helping to make the choline ______ so when we look at phosphatidylcholine, phosphatidylserine, phosphatidyl ________[01:22:28.16] the support that we’re using for the shortcut through the cycle through that PEMT enzyme. This is playing a role, which is why we’ve added in the snip, and it’s possible that this PEMT enzyme, it alters and affects the way estrogen plays role in the system. Okay. And so this PEMT enzyme is induced by estrogen in the body. And so when we have people who have mutations in this pathway. Fatty liver issues may tie into some of those fatty acids we looked at. The need for digestive enzymes that swampy gut that we take a look at in a short chain fatty acids. And so adding in, layering in this other factor PEMT, the role it plays with fatty acid metabolism, the role it may be playing with respect to estrogen, the role of estrogen on aluminum toxicity, oxidative stress, seizure activity. Okay. So PEMT activity’s affected by estrogen. It’s part of the same pathway we just looked at that’s also in turn affected by estrogen and boron, and it increases… it decreases signaling through a part of the pathway that we’ve looked at before for autism okay. So when we are looking at myelination, when we are looking at long-term potentiation and memory, when we are looking at what’s happening at particular areas of the brain, that can be affected in autism, this intermediate in the pathway is in fact affected directly by that enzyme activity. And so we’re looking at the effect that this may have and the fact that there may be high activity of P13K in autism yet, let’s go back the second, PEMT down regulates it, [01:24:52.16] PEMT is affected by estrogen levels, and so looking at the effect of this snip in the body, the role of estrogen, the role this may play relative to calcium regulation. The recent finding of the role of that voltage gated calcium channel, how it affects mitochondria, the energy, the estrogen, signaling and the increased signaling of this intermediating autism. This child tends to have high calcium levels and remember we’ve just finished talking about the role of estrogen in controlling calcium. The role of that voltage gated calcium channel. The role PEMT plays and how it may be regulated by estrogen and now with a particular snip pattern were seeing high calcium even though we’re not adding any calcium. And I know that if calcium is higher than magnesium I’m going to have a problem with potential seizure activity and excitotoxin damage. The other piece that we see with that pattern is low phospholipids. And remember I told you a few moments ago PEMT is critical in that pathway of phosphatidylcholine Fossetts 11 Nolan he phosphatidylserine. And so what I would say is even if you don’t have that snip data, go back and look at the tests. If you’re tending to see high uncontrolled calcium, particularly if it’s not supported it all, and you’re tending to see low levels of phospholipids on UAA. Think about the fact that PEMT may be an issue. Consider Doug Quai and Black cohosh for some herbal support that may help to regulate the system. We’re doing a lot of work with chronic fatigue individuals on our site also. Chronic fatigue syndrome seems to be tied into mitochondrial dysfunction, we see a lot more chronic fatigue in females and this may relate to a lot of the roles of estrogen that we’ve just talked about. So again…aah…summarizing where we are and then we’ll take a little break while I upload the next set of slides so that we can look at the specifics of bacteria, what’s a gram-positive what’s a gram-negative? what’s an anaerobe? how do we know what we have, how do we deal with it? Flowcharts to address it. Let’s just kinda go back to where we started because it’s a lot of information. We’re looking at the effects aluminum and thallium on the system. The role that bacteria play in retaining these metals in the body. The effect on mitochondrial energy, the role of estrogen on mitochondrial energy and the role of estrogen potential and mitochondria and chronic fatigue. The need to address oxidized species that are generated by the mitochondria as they make the energy you need to drive the reactions in your body. The role that aluminum plays and Nickel in generating additional oxidative species. That lack of methionine can play a role in your ability to deal with these species. Needing to bypass mutations in the methylation cycle to get those methionine levels where we want them. And then looking at the role of chronic bacteria and retaining metals in the body and in a few minutes we’ll look at how do we deal with that. So we’ll take a short break. Do you want Invisalign from a dentist who doesn’t know your name? We have known for many decades now that the way that we feel about ourselves and our body can have a huge impact on the way that our body reacts to illness and stress. That is why sometimes a worry at work or at home can manifest in headaches, dizziness, or even stomach pain. Of course, this works both ways: if you have crooked teeth or terrible skin, then your confidence will become lower and lower, until you never want to go outside again. Getting teeth straightening Invisalign can not only improve your dental health, but have an impact on self esteem and emotional health. Few medical professionals truly understand the complex interacts between our minds and our bodies, but Dr Vinograd has made it his mission to aid his patients in their total well being, rather than just concentrating blindly on their dental symptoms. For example, if a person came to Dr Vinograd complaining of tooth ache, he would not only examine their teeth, but ask them about their diet, their work life, and their general emotional health. It is only through this way of treating someone that you would discover that the patient is very stressed at work – and has been grinding their teeth. An invisalign patient will not only get straight teeth, but also have their aesthetic goals taken into consideration. As you can see, it can only take a few clever questions to reveal the true source of a problem, but it is something that Dr Vinograd believes is very important. His priority is his patients, and he gains a huge amount of joy from seeing someone leave his practice with a truly happy smile on their face – something that they certainly did not arrive with. In fact, Dr Vinograd has stated that he is: “delighted to work at a job that allows him to assist in the well-being of people and develop special connections”. For Dr Vinograd, every patient has a name. Why would you want to talk to a dentist that does not take the time to get to know you? For a Free Invisalign or general consultation with Dr. Vinograd, call (619) 640-5100. People with cavity prone teeth or other dental issues want nothing more than to get rid of the pain. Often the most immediate answer seems to be to pull the teeth that are causing the pain. What many do not understand is that dentures come with their own problems, sometimes even more than the teeth that caused the original problems. Many people do not understand how many problems dentures can cause, especially lower dentures. 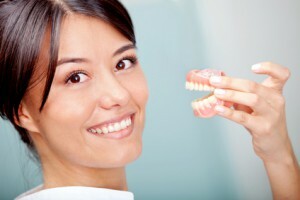 Advances in modern dentistry mean that fewer people have trouble with lower dentures than they use to, but there are still many denture wearers that experience significant pain from fitting dentures that put pressure on the gums, as well as embarrassment from dentures that move during eating or speech. Why do lower dentures cause so much trouble for so many people compared to upper dentures? There are several factors. A good impression combined with stable flanges and post stem are typically enough to get a great seal for upper dentures. The upper arch of the mouth does not move which means a good seal is both easy to achieve and sufficient to hold upper dentures securely in place. The lower jaw and the tongue, on the other hand, is constantly moving, especially during eating and speaking. Lower dentures tend to move as the tongue in the lower jaw moves. Lower teeth are vital to the structure of the bone in the jaw. Without teeth, bone tends to even out over time. As the bone wears away, the gums shrink causing the dentures to no longer fit properly. Poorly fitting dentures can cause friction that can lead to sores that can become infected. These factors combine to make lower dentures much more difficult than upper dentures. While the majority of people are quite happy with upper dentures, about nine out of every 10 dislike their lower dentures. Most dentists will tell you that lower dentures are the most challenging part of their practice, and the one most likely to lead to problems for the patient. In the past, implants offered relief to some denture wearers, but traditional implants have two major problems. Traditional implants are fairly large and require invasive surgery costing thousands of dollars to place. The cost is a huge obstacle for many patients. Some patients, especially those who had worn traditional dentures for a long time, did not have enough bone left in the jaw to support implants even if they could afford them. New implants are much smaller, making these obstacles less of a problem for most denture wearers. Smaller diameter implants can significantly improve quality of life, and offer a sense of confidence, for many denture wearers who may not have been able to get traditional implants. Smaller diameter implants can be placed more easily, using only local anesthesia, with no incisions or stitches. The procedure is far less invasive and more comfortable than standard implants. Because the procedure to place the smaller implants is so much easier, they cost significantly less than traditional implants. To lower the cost even more, the patient’s existing dentures can be refitted so that they snap securely onto the implants and the patient can walk out of the office with dentures that fit more securely in about an hour. Patients who have been told that they do not have enough bone to support implants are often able to receive the smaller implants, as they require less bone for support. Of course, if natural teeth can be preserved and kept healthy, this is preferred. But when natural teeth cannot be kept, smaller implants can make dentures easier to handle. As a dentist, I love improving the quality of life for all of my patients, but it really pulls at my heartstrings when I can help a patient who has suffered years of pain and embarrassment with traditional dentures. Watching someone genuinely smile, perhaps for the first time in years, is an indescribable feeling. If you are among the thousands of people who suffer pain and embarrassment from poorly fitting dentures, talk to your dentist. Whether you and your dentist decide on standard implants with fixed prosthetic is a good choice for you, or that smaller implants are better suited to your particular situation, you do not have to suffer, there are ways to make your dentures more comfortable and secure. Do you need denture advice? Call (619) 640-5100 for a free consult with Dr. Daniel Vinograd. And so we can look at the methionine residue as being able to react with the reactive oxygen species, and they set up a recycling program with one of the intermediates that Dr. Deeth is really focusing on recently, which is thioredoxin, and so it helps to recycle so that we can reuse our methionine. And so that if we look at a reactive oxygen species and we look at methionine and it becomes oxidized and then this thioredoxin can come back around with NADH and help us to be able to regenerate armothionine and deal with reactive oxygen species. And I’m sorry he’s not here today because I think he’s one of the most brilliant researchers in autism. And he recently had said to me that _____(inaudible) [00:58:59.96], which we know is so central and what we all look at and was one of the first snips anyone look at years ago, and thioredoxin, their genes overlap in your DNA and share promoter. A promoter is what starts you off on the information to look at a piece of DNA. So it’s kind of like you…. the promoter allows you to open the door and read that piece of DNA. And what he relayed to me and what the research support says that COMT, which is so critical for our dopamine levels, and we look at so closely in terms of our support system in this methylation cycle, that it goes one direction and thioredoxin goes the other direction and they’re sharing a door that helps you to open to look at that DNA information. And so the fact that this thing turns around and helps you to recycle your methylene as part of this pathway to deal with oxidative stress is an unbelievable system of overlapping into relationship but it also gives us a sense why the body would collapse under the weight of this system breaking down. And if anyone’s interested in the reference that’s why it’s here ,that if you look at right here let’s say being the door and you can either read this way for COMT or read this way for thioredoxin. They’re basically sharing a door for information, yet we’re using this so heavily COMT when look at the methylation cycle and this is so critical for keeping the oxidation and reduction status in the body in balance as well as recycling our methionine. And so methionine is easily oxidized because it helps to basically soak up some of those reactive oxygen species. And in doing so it actually helps to protect certain tryptophan residues. And so we can look at tryptophan, if you recall is so central in serotonin, another one for our neuro transmitters. And they look particularly glutamine synthasse[01:00:15.15] (inaudible) where this is playing a role. So we’re looking at this relationship between methionine, the snips we look at, how tryptophan is tied in, where levels playable with OCD symptoms and serotonin, the effect of bacterial tryptophan and then the role metals play with respect to glutamate. And just to reiterate we’re talking here about the effect this can happen glutamate synthase and we’re looking at glutamate synthase to be able to move again from glutamate to a less toxic form. And B-12 helps us to scavenge, especially hydroxy B12, some of the oxidized species. We also have a role here with glutamate synthase. And so when we have a lack of methionine we may have a problem here moving from glutamate to glutamine. When we had issues with Rubella we may be having a problem moving from glutamate to gavin we’ve talked about that before. When you have high levels of sulfites, with… which can happen if you have an SUO ex mutation, CBS up regulations or excess sulfites in the system that’s inhibiting at this point, and all of those serves to trap you with glutamate which can have excitotoxin activity and increased seizure activity in the body. So let’s just take a second and like look at these interactions and why all of these pieces need to be addressed and why they come together. All right so if we look at the relationship between glutamate in this cycle. Glutamate decreases one of the enzymes that we’ll talk about in a minute that’s the backup route to dopamine. We know there is increased glutamate receptors in autism. Lack of methionine, some mutations in the pathway we look at impair one of the enzyme in this cycle. Sulfites due to additional mutations in the pathway, that may compromise our B12 or our ability to deal with sulfites affect other aspects of the neutrogenomics we look at in the pathway, and rubella can affect the third enzyme in the pathway. And so again looking at why we need to be conscious of the genetics, the supplements we need to bypass mutation in that pathway. What we take in the role of glutamate, getting those methionine levels where we need them, as well as paying attention to whether it’s bacterial or virus in the system. As well as the heavy metals that we were focusing on earlier. Another one of those light bulb moments. And I talked about this. These are very old slides from when I was first trying to explain what RNA. It’s from the RNA book as well as the RNA DVDs. DNA is the information every cell in your body needs. It’s the information that tells you… your body how to make everything that it’s going make. RNA is the part of the DNA that’s used, so it’s what makes my arm my arm; my leg my leg even though it’s the same DNA in every cell in the body. Protein is what you actually see, and this we’ve talked about before. Okay. The light bulb moment. The way you start every protein that’s made in your body is with a methionine, okay. And the cycle we look at that generates methionine also generates all the building blocks for DNA and RNA. And so the interrelated pieces for what you need to survive come from the cycle were looking at. So that mutations or anything that’s impairing that pathway, feedback on this ability and so every single protein the information in the DNA, which is then translated to the RNA and what we use, everything starts with methionine. And we just finished saying that if you have mutations where you’re methionine levels are too low, that plays a role in terms of oxidative stress also, okay. We can reverse… and these were some slides that we talked about last year at this conference. That it’s possible to have your body go backwards from SAMe and make methionine if it needs, but this is a very inefficient process and so what we want to be looking at is supporting the body properly so it doesn’t need to do this. Because if it needs to go backwards… burning cycle intermediates and generating high levels of Esta Denicio homocystine and adenosine which are non ideal for the system and of themselves create more damage to proteins if we need to go backwards. And so again it’s a futile cycle and we can go backwards to do this but we don’t want to do that, what we want to do is make sure that we are feeling the cycling properly, and also that were stabilizing our SAMe so that it’s not being damaged. And one of the components that I have a lot of individuals taking is this sugar _____inaudible[01:06:00.10] and we have added that into the new hydroxyl B12 to help again to stabilize the system against this oxidative damage. Also methionine is really critical when it comes to creatine and creatinine levels. And earlier in the doctor’s conference someone was bringing up chronically low creatinine levels and some in some of the kids. What I would suggest is go back, look at the methylation cycle, look at the mutation, see if we are for filling in properly. Do we even have enough methionine to be feeding into our creatinine levels? And if we look at genetic mutations in creatine and creatine transporters and that part of the pathway, those are associated with language delays and development issues, okay. So mitochondria generate energy, but they also generate these reactive oxygen species that we need to deal with. Nickel can increase these as well as aluminum, and thalium can decrease our ATP for energy. SAMe and methionine can help but also NADH and thioredoxin are involved, and we talked about that relationship that Dr. Deeth brought up, between thioredoxin and COMT. We can have a role of the trapping at glutamate if we have methionine damage and aluminum. The role of methionine in helping to protect some of other intermediates in the body and how critical methionine levels can be with respect to creatinine levels and perhaps language delays. I’m going to shift a little now and look at the role of estrogen in helping to protect against mitochondrial damage and reactive oxygen species. And when the Times article came out this past week, their conclusion was that although this voltage gated calcium channel is seeing more frequently in males than females with autism and may play a role in the ratio of males to females in autism, that they didn’t know why it played a role. And for a while now a number of individuals have looked at the role of estrogen, but we can look at the role even more particularly because we’re going to see you in a few minutes that estrogen helps to control calcium in the body. Okay so we already saw this slide. You have your energy cycle, we feed in…we feed into the mitochondrial membrane and we bounce electrons back and forth in the process we generate an energy gradient that drive our APT. Estrogen increases the efficiency of this, okay. So it’s helping the mitochondria to do a better job with energy generation. But it also helps to control calcium levels. And recall that too much calcium with glutamate that we just talked about can create excitotoxin damage in the body and damage to the nerves. So it’s critical to keep that calcium under control. Also in the absence of estrogen we don’t do as good a job of dealing with calcium regulation or reactive oxygen species, and so is the role of estrogen critical in helping to protect females to a certain except relative to males? So as a result I have added in a few more snips to the panel. The PEMT…aahm…snips because they are reactive to estrogen in the body, and we’ll look at that in a moment. So again we are looking at the role of estrogen in helping the body to hang on to and deal with calcium so we’re not ending up with calcium damage. And again we just talked about all that oxidative damage and estrogen’s playing a role there also. And well…well calcium may not be the main cause of some of the problems we see, it’s a critical part of the cascade that causes abnormalities. This is just to illustrate how interrelated and connected calcium signaling is. Again to reiterate for you the roles that calcium can play and the voltage gated channel – this is what’s being talked about in the Times article – the voltage gated calcium channel. A genetic clue as to why autism affects more boys than girls and we’re looking at a voltage gated calcium channel. And again remember I just finished telling you that estrogen helps your body to control calcium, and that the way we open and close these voltage gated channels is by the energy we generate through that mitochondrial membrane which in the process of generating that energy, we create reactive oxygen species. And estrogen is one of the pieces that helps us to control those reactive oxygen species, which are then exacerbated by things like aluminum and nickel in the body. Tying everything back together again, if we look at that specific voltage gated calcium channel, it is controlled by methylation. Ok so take a minute and think about this. If you have mutations in your methylation cycle and the cycle isn’t working properly, aside from what I just told you about the role it plays with respect to methionine, we also can’t control the voltage gated calcium channel properly, that we already know from the article that came out this past week, appears to play a role in terms of the problem of autism in males. And then layer in the affects of estrogen, aluminum reactive oxygen species as well as a needing to look at the role of the methylation cycle. And so that’s why we look at that pie chart, I am assuming you’re looking at the nutrition, that you’re looking at the methylation cycle, that you’re looking at where you have imbalances and supporting to bypass so that we at least don’t have to worry about the role of methylation but that’s under control because we know how to deal with that. And then we can systematically look at what bacteria we have, deal with the bacteria, get rid of the metals, clean up the swamp, see those excretion of metals that we’re seeing. And that’s how we’re seeing the improvements in the recovery. And so if we look at that voltage gated calcium channel that was just talked about this past week, look at the difference when it’s unmethylated and when it’s methylated okay.